SNOW! Isn't exciting when you drive up the mountain side and catch your first glimpse of snow in the gutter. Oh the joy that is heard coming from the back seat is heart warming. 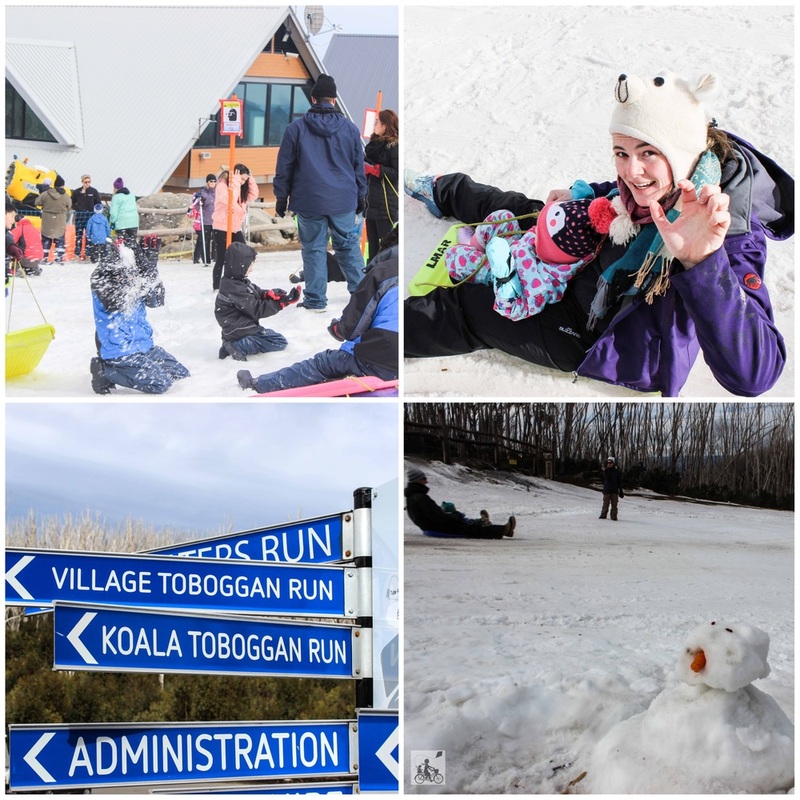 If you are looking for some snow play, toboggan sliding and letting your treasures have a good old play in the white stuff, Lake Mountain is the place to head! The mountain is around an hour and a half's drive from Ringwood and makes for a great day trip. 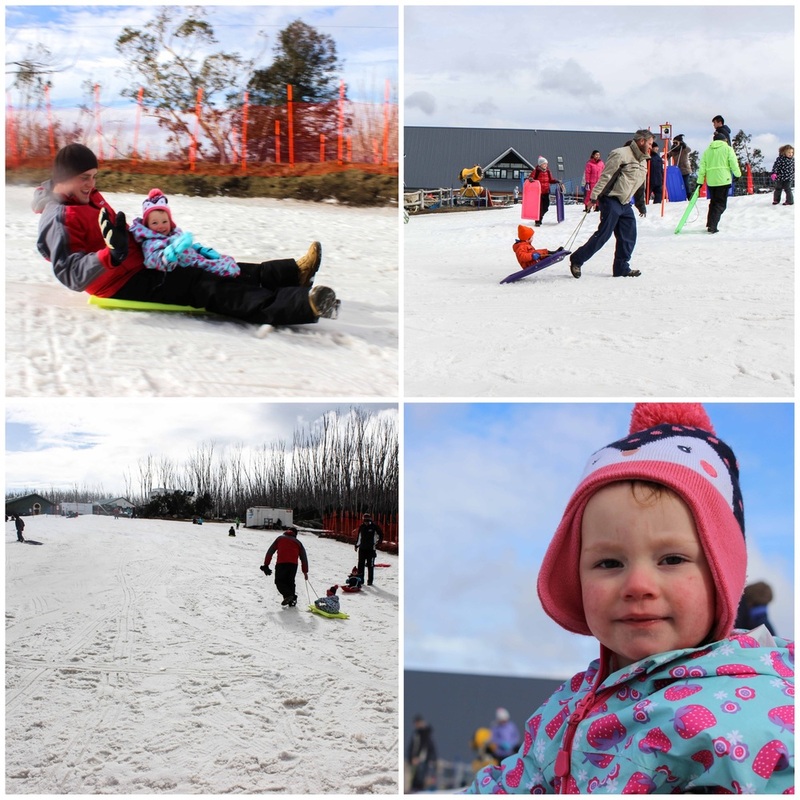 The toboggan runs are great for little ones and with snow making machines in use when the snow isn't hanging around, there is sure to be enough to spend the whole day heading up and down the run! And of course enough to roll up some snowballs and chase Mamma around! There is toboggan hire on the mountain or you can always bring your plastic moulded one from home. Plus there are ski and snowboarding lessons available for your more advanced thrill seekers. OH and there is a tube run too! The car park is nice and close to all the action so at lunchtime you can always grab you pre-packed bite to eat from the boot of the car or of course grab some hot food at the Heights Bistro. Mamma's special mention: ALWAYS check snow conditions before you travel. You may been to fit some snow chains in order to enter the resort on some days. Best also to check that all the snow gear fits before heading off too - mittens that are too big won't be staying on little hands for very long! Luckily, there is a retail outlet on the mountain!